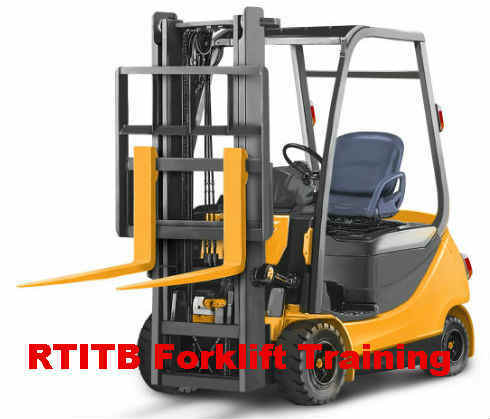 RTITB Forklift Training – Why You Would Choose This? - Be Certified Today! With regards to forklift training, there are some accrediting organizations that set the standards, one of them is RTITB. There are six organizations that offer training and basically use the same standards. RTITB is better known among them but I am not telling you to forget about the others. This organization is commonly called as certifying body. This is a private company that is acknowledged by the Health and Safety Executive (HSE) of the United Kingdom as competent to “look after” and administer forklift training in the country. HSE’s responsibility is to advise and audit the standards if it was being implemented. HSE largely pass the obligation to this regulatory body the administration of the training ethics. In the past two years, RTITB accreditation standards have been delivered to over 270,000 individuals not only in the UK but also to delegates from many other countries. Many have said that RTITB has the best forklift training available out there for novice, refresher, and conversion courses. If you are certified by this body, then you are more likely to be preferred by big companies and businesses as they only favor those who have trained by this organization. RTITB courses are devised by safety professionals who have obtained a lot of experience in the field and created by qualified designer to make the training appealing, enjoyable and most importantly knowledgeable, ensuring that you are competent when you leave the training room. If you are an employer, RTITB can provide you the assurance that you can meet the obligation stipulated by the regulations set forth by HSE and other applicable laws in current methodology. The truthful advantages of having RTITB-trained personnel are business operational effectiveness and trimming down of occurrence of accidents and risks thus reducing the property damage and near miss incidences. Not only that, you would not have to send your forklift operators to training course because accidents have been alleviated, as a result, you can save company money and insurance cost. To become better trained lift truck drivers, you must enhance your skills. There are several levels of courses available depending on your competencies and abilities. Whatever course you will choose, there will be a lot of details and information to be given to make sure you are professionally certified to driver the trucks. Novice Training is for individuals who is absolute beginner and with no any know-how operating the forklifts. For obvious reason, this is lengthier and more comprehensive which tends to run for up to 5 days to ensure that you have gained much knowledge. The training cost tends to be pricier as well. Experience Operator Training is intended for learners who have existing knowledge and experience driving the forklifts but without proper and professional training. The duration of the course is much shorter compare to novice. The cost is obviously less expensive that usually ranges from £250 to £3000 depending on the training provider or instructor. Though you can get this forklift instructor training from other accrediting bodies, and the outcome may be the same as well. RTITB trainer course offers a various advantages. A trainee can reach his utmost potential to become a professional trainer or in-house safety consultant, added to this is you can put up your own training school and deliver qualified courses that meet RTITB standards. In order to be qualified as an instructor, you will need to be a senior operator or experienced worker who had gained much experience in lift truck driving, an applicant must have a good conversational and communication skill both in written and verbal, a trainee must provide documentary evidence that he has attained a certification of becoming an RTITB trained forklift operator on either counterbalance or reach truck type of equipment, has a valid forklift license that recently been issued, other requirements may be deemed necessary depending on the training provider. This course is for operators who have been trained and certified before who would like to renew their certification and to become up to date to current HSE legislations. There are instances employers send their personnel for refresher course, such instances are during when operators are involved in accidents, near misses, unruly drivers or have been observed driving the lift trucks in unsafe and dangerous manner. The intention of the employer is to rectify their behavior and employer must provide refresher training whenever required. Other circumstances that need retraining are: if employer move sites to different location, when operators are assigned to use different truck they’re not familiar driving, when employer changes workers’ assignments or work responsibilities, and when operator become disabled. Before you scratch your head for confusion, why would RTITB forklift card has an expiry date on it. Please let me explain a little further. The level of certification you have attained doesn’t have an expiry. You need to keep your skills current and updated, hence the HSE recommends a three year gap between forklift refresher training, this is to ascertain that you have maintained your skills of good driving practices and become customary to present HSE applicable regulations. If you have completed an RTITB forklift training, your details and information will be put into NORS for the span of three (3) years from the date of your last course completion. NORS is a centralized database where employer can check the details of their operators or would-be personnel. Whether you are an employee who has a blooming career in this field, you must ensure your competency by taking a course every three years. If you an employer, keeping your workers retrained is making them safe and satisfied to sustain a smooth business operation. Your RTITB forklift training doesn’t end by completing a course. It is very important to keep your skills updated and maintain your driving competency. You must keep on learning the skills required to drive the truck safely. Remember that your employer is investing money not to only to keep your happy but most importantly safe as well.